Riley Harwood is a recent graduate of North Carolina State University who teamed up with a group of other NC State students for a trip to the Selva Negra Coffee Estate and Mountain Resort to install and distribute solar electricity to the local people. The One Million Lights program sponsored this project. Riley travelled to the estate for 2 weeks to facilitate the installation of permanent solar systems on six individual houses. The project comes at no cost to the people of Matagulpa. Riley resourced electrical wiring, tools, and other items from his job that would have gone to waste to be re-purposed for this project. LED lights, high voltage batteries, and solar panels were all donated by GE. The rest of the project’s cost was covered through fundraising. One of the biggest issues Riley faced was finding specific materials such as screws, bolts, and tools due to the limited resources available in the area. The group was given free lodging and food in exchange for their work to install solar on the Selva Negra Coffee Estate and across the local villages. They distributed nearly 400 lanterns in under a month to the Matagulpa community members who had access to electricity maybe once a week. 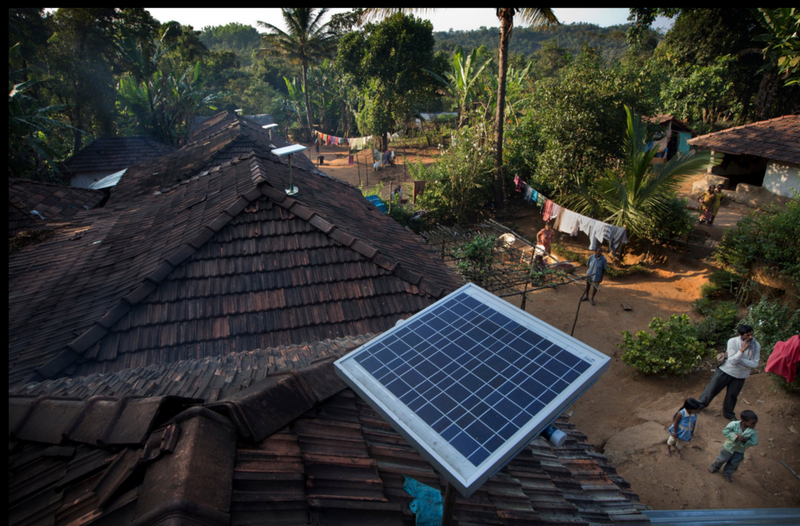 A long-term goal of the project is to revisit Matagulpa and create a permanent microgrid system. The owner of the coffee estate acted as a tour guide and liaison to Riley and the team and is extremely grateful for this work. Riley is currently working for Alpha Energy, a top renewable energy company on a project in Fayetteville, North Carolina. shelter, emergency help, good and many other public programs in Worcester. The Friendly House solar system is an 80 kW system. These projects are part of the WGLIHC’s goal to build 200 kW of solar in the next five years. Michael Regan currently works for the Environmental Defense Fund (EDF) southeast office where he diligently creates and facilitates inclusive solutions to the environmental problems faced in impoverished rural areas of North Carolina. To achieve his goal, Mr. Regan focuses on rural and academic institutions that serve minorities.